Qvik has been Tallink Silja’s mobile consultant for three years and we couldn’t be happier with the results. After the launch of the new mobile booking service in 2015, mobile revenue has grown by 800% – and that’s not all that’s happened. 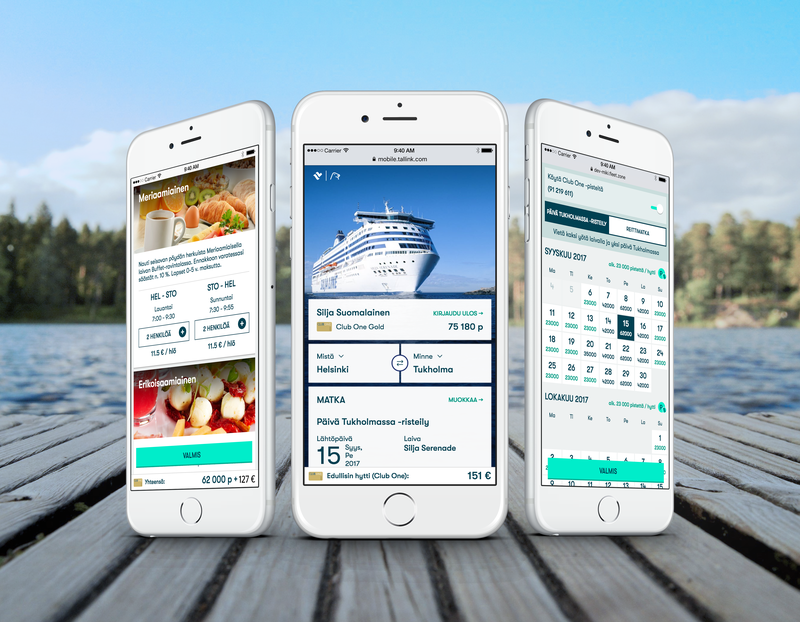 When we started working with Tallink Silja, their mobile strategy was in need of a makeover. The mobile booking website and application provided only an average user experience, which was reflected in less than stellar sales figures. The statistics even showed that people would rather use the desktop solution on their mobile devices than the mobile-optimized service. “We knew how fast mobile usage was growing in general, and we knew that our services were not performing on the required level, so the decision to invest in this was based on very simple calculations”, says Tallink Silja’s Business Development Manager Argo Ohvril, who has been working with the project from the beginning. In 2014, Tallink Silja created a far-reaching mobile strategy with the help of Qvik. The entire customer journey was mapped across different channels, and opportunities for mobile services were discovered in multiple phases of the journey. Of these, a truly mobile-first booking service was considered the most impactful commercially, so that was the first thing we implemented. From an early stage, it was clear that mobile web would be the way to go. Nobody should have to download an app just to book a ferry trip. However, after the order has been placed, a native app can be a natural way to serve customers along their journey. Between the old and the new service, the marketing methods and investments have remained on the same level or even decreased a little. However, in just one year from the launch of the new service, the new booking service had tripled mobile revenue. “So now I know exactly how much UX is worth”, Ohvril says. The execution of the mobile strategy has continued since the launch of the booking service. 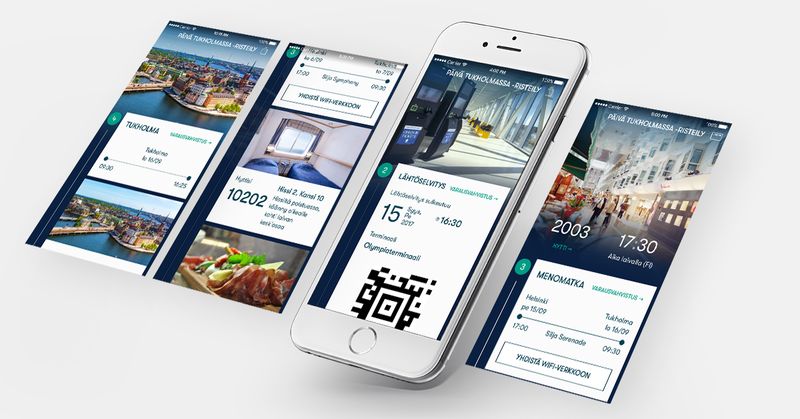 In addition to the mobile booking service, Qvik has helped Tallink create mobile apps for Android and iOS, a service for changing bookings on the mobile and desktop web, the My Journey service for onboard information, and a digital Club One loyalty card. The mobile booking service started to create value from the beginning, and continues to do so to this day. The native application also brings together several web-based services – mobile booking, check-in, booking changes and My Journey – while adding native benefits like notification support. After the digital Club One card was released, app downloads increased and the app’s uninstall rate decreased, since there was a reason to keep it installed after the trip ended. The app is still in its early stages, so results are still coming in. But it is getting close to its first 200,000 downloads and new users are finding it at an increasing pace. The app’s overall rating is very good. Ratings have been steadily over 4/5 on both platforms since publication. Qvik’s main role in the Tallink Silja co-operation has been in the field of design. Though our developers have also worked on the project, it was mostly implemented by Tallink Silja’s inhouse team. Other agencies from as far as Belarus were also commissioned to support the development. Our designers are known for working very well with developers. This time, the credit goes to Matias Pietilä, Dung Nguyen and Eeva Erkko. “What you don’t find in so many companies is people paying attention to details, it’s not easy to achieve. When hiring it’s always a lottery – people either do pay attention or they don’t, and everybody here does”, Argo says. An agile development culture sets requirements for designers as well. You need to find the way to create just the optimal amount of documentation and be comfortable with adjusting the plans as needed. Indeed, one key factor in the success of a project is that we keep the feedback loop as short as possible: whenever questions arise, Qvik is ready to answer without unnecessary delays.